The German Interest Group of The Eastside GenealogicalSociety (EGS)will meet on Friday, May 3, 2019, from 1 to 3 pm in the Primary Room of the Latter-day Saints Church at 10675 NE 20th St, Bellevue, WA 98004 with doors opening at 12:45 pm for networking. Enter through the double wooden doors on the right side of the Chapel. Visitors are always welcome at our meetings. Topic: Facebook: It’s not just for “Friends” – Much can be learned using Facebook for genealogy. We will investigate some WHYs, WHATs and HOWs regarding Facebook usage. I will show several examples of WHY I use Facebook for genealogy and WHY you might want to do so also. WHAT is available for genealogists on Facebook is found in the ultimate listing of genealogy Facebook pages. We will look at the list and show HOW to ensure you find the ones of potential interest to you. I’ve also found that WHAT is available on Facebook is birth, wedding, and death dates of family members which I did not previously have recorded. We will investigate HOW to use the various options available within Facebook: searching for a group, joining a group, searching within a group, saving posts to your own collection folders, accessing those saved posts when you are ready to process them, and many more. Join us to learn the benefits of using Facebook…a great tool for genealogists. You might learn a few computer usage tips along the way. Presenter: Marilyn Mullins Schunke – As a graduate of University of Washington’s Genealogy & Family History Certificate Program, Marilyn volunteered at Heritage Quest Research Library as a Board member, Education Coordinator and Volunteer Librarian. Technology is her forte and she presented Windows 10 and Digital Organization classes and served, and continues to serve, as Technical Assistant in Janet O’Conor Camarata’s genealogy courses at Pierce College. 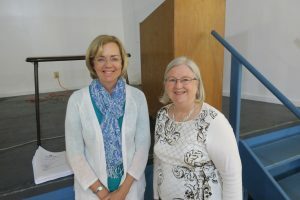 She is a member of several local, state and national genealogy organizations. For more information about our Group, kindly visit our website at https://egsgermangroup.wordpress.com/ . The German Interest Group of The Eastside GenealogicalSociety (EGS) will meet on Friday, April 5, 2019, from 1 to 3 pm in the Primary Room of the Latter-day Saints Church at 10675 NE 20th St, Bellevue, WA 98004 with doors opening at 12:45 pm for networking. Enter through the double wooden doors on the right side of the Chapel. Visitors are always welcome at our meetings. Topic: “Google Tools for German Research” – Google is known for general web searching. It has several additional features specifically helpful for German Research, e.g. searching images, maps, online books, YouTube videos and translation tools unfamiliar to many of us. If you have a certificate from a foreign country, Google can help translate it. If you want to read a newspaper from the last century, check Google for availability. Can’t find where you ancestor lived? Google maps will help locate the place and can show what it looks like today. Want to read county histories or a biography of an ancestor? Check Google books. Google tools beyond basic search can make the life of genealogists easier and more interesting. Presenter: Janet Camarata is a genealogical seminar presenter, educator and trainer in genealogy societies, libraries, retirement centers and senior centers across Washington and supported genealogy by volunteering in a variety of ways – presenter, educator, newsletter editor, program coordinator, publicity and past-president of South King County Genealogical Society (SKCGS). 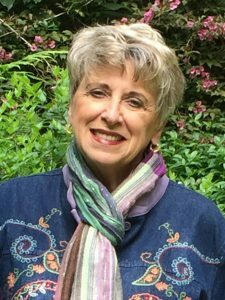 She is also an instructor of a year-long, 6-week series of classes, “Genealogy: Discovering Your Ancestors” at Pierce College and Puget Sound Genealogical Society that addresses both topics – genealogy and technology support research in today’s world. 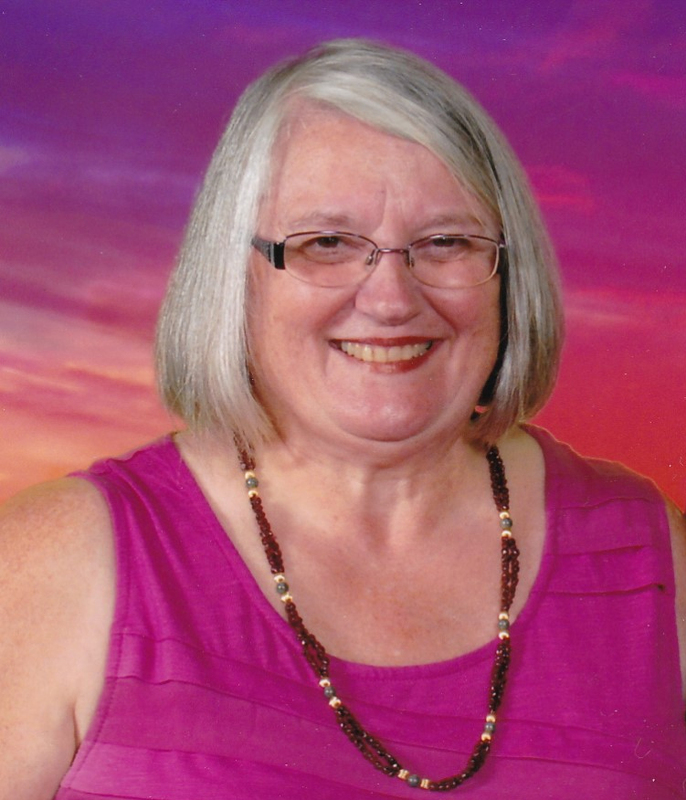 Janet is a member of the Association of Professional Genealogists, a graduate of the University of Washington Genealogy and Family History program, and a master’s degree from Antioch University. The German Interest Group of The Eastside Genealogical Society (EGS) will meet on Friday, March 1, 2019, from 1 to 3 pm in the Primary Room of the Latter-day Saints Church at 10675 NE 20th St, Bellevue, WA 98004 with doors opening at 12:45 pm for networking. Enter through the double wooden doors on the right side of the Chapel. Visitors are always welcome at our meetings. Topic: German Immigration Patterns – Since the 17th century, millions of German-speaking emigrants were leaving Europe for places far and wide, especially North America. Who were they? Why did they leave? The answer? It’s complicated. This talk explores waves of emigration in historical context, for reasons of war, religion, politics, weather, economics and other factors. Talk also takes a look at patterns of settlement of German-Americans once they arrived in North America, and its far-reaching effects today. Presenter: Claire Gebben is the author of the historical novel The Last Blacksmiths (Coffeetown Press, 2014) based on the true story of her German immigrant ancestors. Her family memoir about writing family history, How We Survive Here: Families Across Time, was just published in November 2018. Her articles on blacksmithing, German Separatists, immigration and genealogy have appeared in German Life, Family Chronicle, and other publications. More info about her: http://clairegebben.com. 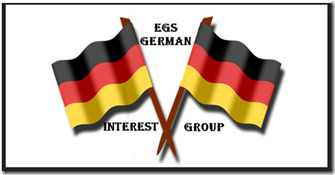 The German Interest Group of The Eastside Genealogical Society (EGS) will meet on Friday, February 1, 2019, from 1 to 3 pm in the Primary Room of the Latter-day Saints Church at 10675 NE 20th St, Bellevue, WA 98004 with doors opening at 12:45 pm for networking. Visitors are always welcome at our meetings. Topic: “Using the Online Catalogs for the University of Washington Suzzallo & Allen Libraries” – Learn to use the advanced search functions of the card catalogs in preparation for our field trip to Suzzallo & Allen Libraries in March. Learn to develop quality search terms, access research guides and the university wi-fi network, obtain a copy card or use printing services and asking for assistance from the librarian. Presenter: Janet Camarata is a genealogist with over 30 years’ experience. 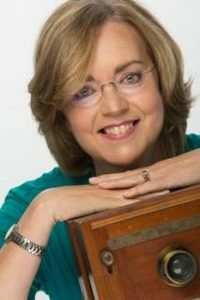 She is a seminar presenter, educator and trainer in genealogy societies, libraries, retirement centers and senior centers across Washington and supported genealogy by volunteering in a variety of ways – presenter, educator, newsletter editor, program coordinator, publicity and past-president of South King County Genealogical Society (SKCGS). She currently leads the SKCGS Technology User Group designed to address the technical needs of genealogists in the today’s world of online and offline genealogical research. She is also an instructor of a year-long, 6-week series of classes, Genealogy: Discovering Your Ancestors at Pierce College and Puget Sound Genealogical Society that addresses both topics – genealogy and technology support research in today’s world. 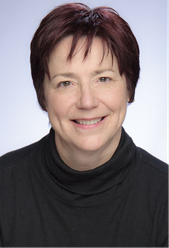 Janet is a member of the Association of Professional Genealogists, a graduate of the University of Washington Genealogy and Family History program. She has a B.A. (Education) degree from Central Washington University and a master’s degree from Antioch University. She also taught within The Boeing Company and at the University of Phoenix. For more information, kindly visit our website at https://egsgermangroup.wordpress.com/ . The German Interest Group of The Eastside Genealogical Society (EGS) will meet on Friday, January 4, 2019, from 1 to 3 pm in the Relief Society Room of the Latter-day Saints Church at 10675 NE 20thSt, Bellevue, WA 98004 with doors opening at 12:45 pm for networking. Visitors are always welcome at our meetings. Topic: “A Research Experience in the Rheinpfalz region in Germany” – Carol Stromberg will share her research story in discovering more about her Schwarzwalder family, wine growers in Rheinpfalz region in southwestern Germany. She will share her approach to her research, her travel to Germany and include her experiences meeting with her cousins and fellow genealogy researchers, her visit to the regional archives and photos of her ancestor’s home and workplace. Presenter: Carol Stromberg is a local genealogist who has been a member of EGS for 10-15 years. She became interested in genealogy in 1996 when she was planning a trip to Germany. Starting with two pieces of paper containing family information, she wrote directly to Germany asking questions and requesting documents. She loves learning about her ancestors and their stories. Her presentation is the results of her latest trip to Germany in 2018. The German Interest Group of The Eastside Genealogical Society (EGS) will meet on Friday, November 2, 2018, from 1 to 3 pm in the Relief Society Room of the LDS Church at 10675 NE 20thSt, Bellevue, WA 98004 with doors opening at 12:45 pm for networking. Visitors are always welcome at our meetings. Topic: German Traditions from Advent Through Epiphany – Ever wondered how your ancestors celebrated holidays or where some of your family traditions came from? Paula will present information on these German traditions, whether they were evolved from superstition or on the faith of our forefathers or mothers based on a compilation of research and journal articles written by experts in the field. Presenter: Paula Seeger has been a member of EGS and the German Special Interest Group for a couple of years. She’s been involved in researching the German ancestors for her family and that of her husband’s family. The Eastside Genealogical Society threw itself a 40th birthday party on Saturday, 15 Sep 2018. The society has been celebrating every month this year in a small way, but really hit the big time hosting Maureen Taylor, the Photo Detective, in an all-day workshop in Bellevue. The workshop was free to EGS members as a thank you for 40 years of support, while others paid a small fee. Ms. Taylor presented Photo Detecting 101, Google Images and Beyond and Discovering Genealogical Clues in Photographs. Well done, value-added presentations all around. Lower Columbia Genealogical Society to purchase genealogical books to donate to the Longview Public Library for public use. Lower Columbia has generously donated books for a number of years, using money from membership dues and their coffee stops. Okanogan Genealogical Society to help purchase supplies to repair and preserve books holding the “Tonasket Times” newspaper from 1913 – 1952. Stillaguamish Valley Genealogical Society to help publish a book on “Early Stillaguamish Valley Schools” in the Arlington Area. Wenatchee Area Genealogical Society for digital preservation of family records, library holdings and archival documents. More information about the deadlines for the 2019 Innovative Grants will be publicized in the coming months. The German Interest Group of The Eastside Genealogical Society (EGS) will meet on Friday, October 5, 2018, from 1 to 3 pm in the Relief Society Room of the LDS Church at 10675 NE 20thSt, Bellevue, WA 98004 with doors opening at 12:45 pm for networking. Visitors are always welcome at our meetings. Many of us share a pressing concern: we possess family documents, artifacts, and oral histories, but have no idea what to do with them. This session examines formats, ideas, organizational tips, and inspiration to ensure the stories of our ancestors, and of our own life stories, are not lost. For more information, kindly visit our website . is coming to Bellevue on September 15, 2018. This event will be held on September 15, 2018 at the Vasa Park Ballroom, 3560 W Lake Sammamish Road SE, Bellevue, WA 98008. Doors open at 9 am with presentations from 9:30 am to 2 pm. Private consultations with her are available afterwards at an additional cost of $20 for 10 minutes for the maximum of 2 pictures. Of course, you can book more than one consult and pay her directly. These can be arranged by sending an email to EGSGenealogyhelper@yahoo.com stating the desired number. For more details, see our website . Of course, you can register for the event using our website to the prior day. At the door of the event, cash and checks will be accepted for admission. Come and bring your friends for a fun day! Private consultations with her are available afterwards at an additional cost. This event is part of the Eastside Genealogical Society’s 40th Anniversary celebration. Thus, EGS members, who register before September 1st, will have free admission. Boxed lunches are available for $15, if ordered by September 1st. Non-EGS Members and everyone after September 1st will be charged $25 admission. For more details about the presentations and lunch, see our website (Also, there are links to the digital files for the Color Poster and the Registration Flyer.) Of course, you can register for the event using our website.